Trailable work boat with twin Suzuki outboards. 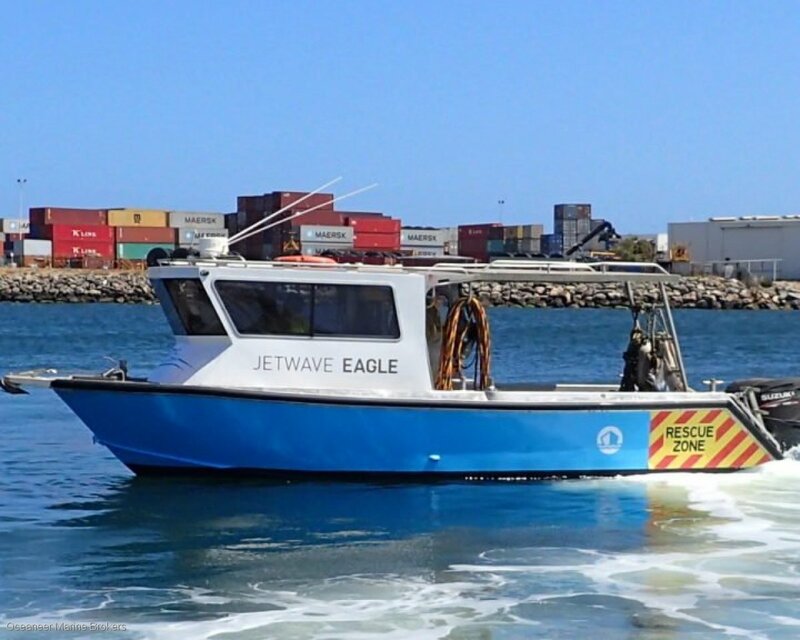 Diverse survey exempt vessel with good load carrying capabilities. This work boat provides a stable platform with great deck area for it's size. Enclosed cabin with forward raking windows increases visibility and keeps crew dry in rough conditions. Electric capstan fitted on port side for pulling lines or fishing gear. Licenced trailer included in sale price. Please contact Oceaneer Marine Brokers on (08) 9243 6373 or email sales@oceaneermarine. Com. Au. electronicsFuruno echo sounder, Lowrance GPS and Plotter, JRC radar, Clarion stereo, GME VHF radio.